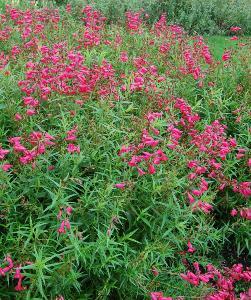 Penstemon Firebird is the true name of this perennial is Penstemon Schoenholzeri. Narrow green foliage with panicles of tubular, bell-shaped crimson flowers, striped red on white in the throat, 3.5 cms in width. AGM. 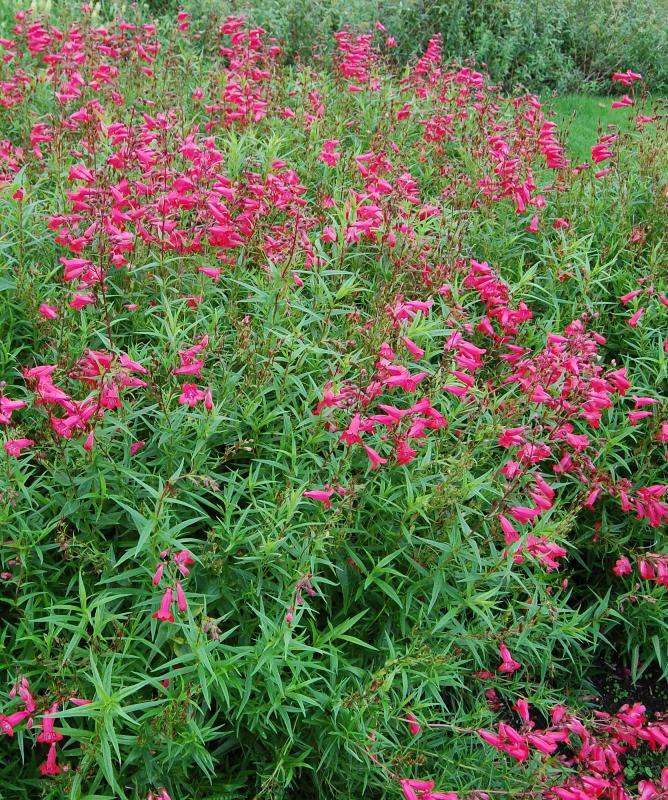 Hardy, although cold areas it may need protecting with a dry mulch. Height 1m, spread 0.5 m.